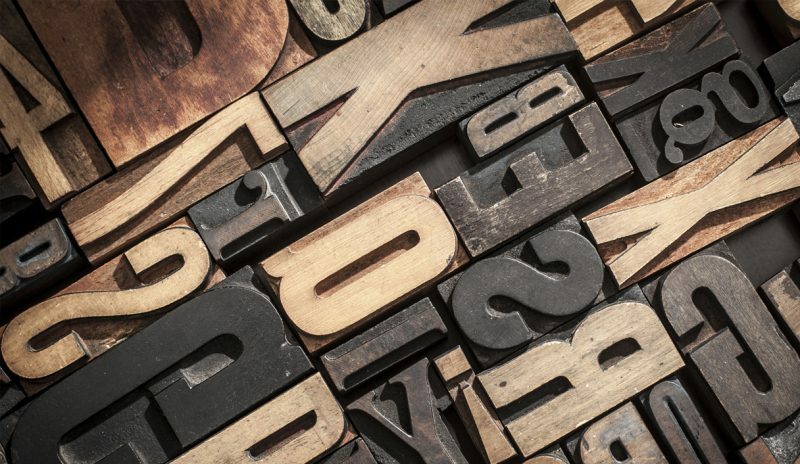 We’ve put together a list of important marketing terms from A to Z. While there are many other terms important to marketing, these should help you get started when thinking about your company’s strategy. The first, and arguably most important term, is “audience.” You can’t create a strategic marketing plan without knowing who your target audience is, and why you want to target them. This is how you differentiate yourself from the competition. What makes your company or product stand out? Read our blog post on branding for help creating a consistent brand! You can’t have an effective advertisement, email campaign, or social media post without a call-to-action. What do you want your audience to do next? Help them decide by including a CTA. The design of your marketing materials should catch your audience’s attention, so don’t be afraid to occasionally change up your look. Use a template if you’re a beginner and be sure to utilize white space. Engagement is a term to describe how your audience has interacted with your content. It can be in terms of clicks, likes, comments, and more. Have a plan to track audience engagement so you can see what is working well. Keep your format simple and consistent. Familiar formats make it easier for your audience to understand what you’re saying. Every marketing team should have specific, realistic, and measurable goals outlined at the beginning of a campaign so they know what they want to accomplish for the company. Honesty is the best policy for a reason. Stretching the truth about your company or products may benefit you right now, but it will only hurt you in the long run. Customers are loyal to honest, ethical brands, so stick to the facts in your marketing campaigns. Every move you make as a strategic marketer should have a purposeful, justified reason behind it. Don’t be rash when making marketing decisions and always support your ideas with research. This is a specific word or phrase a person types into a search bar. Marketing messages can be created based off of popular, relevant keywords. Always listen to your customers’ feedback and pay attention to what your audience wants. Look at online reviews or start collecting feedback through email or in-person surveys. To evaluate your campaign, you should track various metrics such as impressions (views), website clicks, purchases, and any other metrics relevant to your goals. While you don’t want to get media attention for a scandal or publicity stunt, being newsworthy is a great way to get local media coverage. There are many ways to stand out: launching a new product or store, hosting a charity event, signing on a locally known spokesperson, etc. Make sure to optimize your web content to mobile viewing. It’s important that your customers can view your content on any device without getting frustrated. Here are 7 important factors for mobile optimization from Forbes if you want to learn more. Marketing is all about persuading your audience to do what you want them to. This doesn’t mean pushing your audience around and telling them what to do, but rather guiding them to make the decision on their own. Consumers expect everything to be fast, including responses. Whether it’s an email, a phone call, or a social media comment, you should be ready to respond as quickly and accurately as you can. Conduct careful research on your audience and competitors when creating a marketing strategy. Also do evaluative research after your campaign is complete to see what worked and what didn’t. Depending on who your audience is, the majority of companies should be on at least one social network. Check out our social media blog series for information on creating a social media strategy. How your audience interacts with your content is very important. If the user has a bad experience with your website, they’ll be unlikely to come back. Humans love eye-catching visuals and stories. Tell a story in your marketing materials through videos, photos, and graphics. Make your website a one-stop shop to learn about your company. There are plenty of ways to get creative, but your website should at least have your contact information, details about your products, and a page about your company’s background and vision. Effective marketers should always stay on top of industry news. It’s important to be perceptive so you can see through what techniques are fads, and what techniques are here to stay. This is how you price your product to maximize the revenue received for each unit you sell. Zero cost strategies are marketing tactics that can be done for free. Examples include social media and blogging. Admittedly, a few of these terms were difficult to come up with. But marketing is all about creativity and innovation, right? Creative Spot is a full-service marketing and advertising agency in Columbus, Ohio. If you would like to learn more about how we can help your organization with strategic marketing, please contact us.